We have not increased prices for the 2019 season and all bookings now include towels and bedding for all guests, plus a complimentary 'Welcome Pack' with teabags, coffee and sugar sachets, fresh milk, bread and spread. Bookings are from a minimum of two nights. 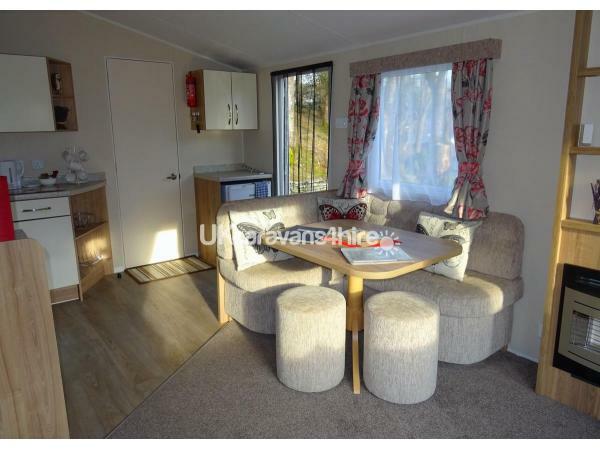 Our caravan is on the sunny side of the Green and has a small safe garden with table and chairs and seating for 6 people. The comfortable lounge and dining area is bright and welcoming. The television has Freeview and there is a selection of family friendly DVDs and CDs for your entertainment. 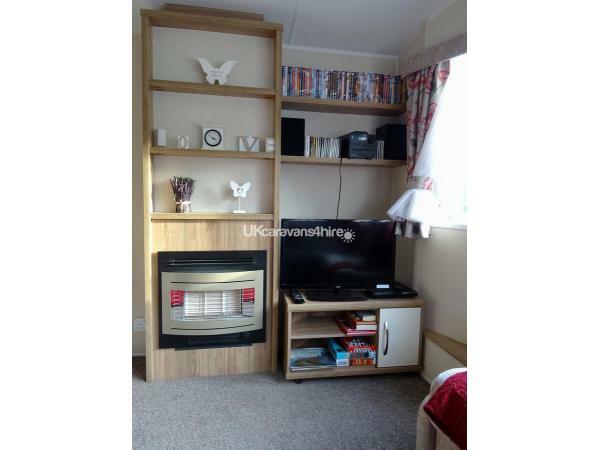 WiFi is available in the caravan with a voucher for unlimited downloads bought at the bar. The Green is in clear view of the lounge - ideal for keeping an eye on your children or a starting place for a walk on the many woodland paths. Both Aberdunant Hall Park and our caravan are dog friendly. 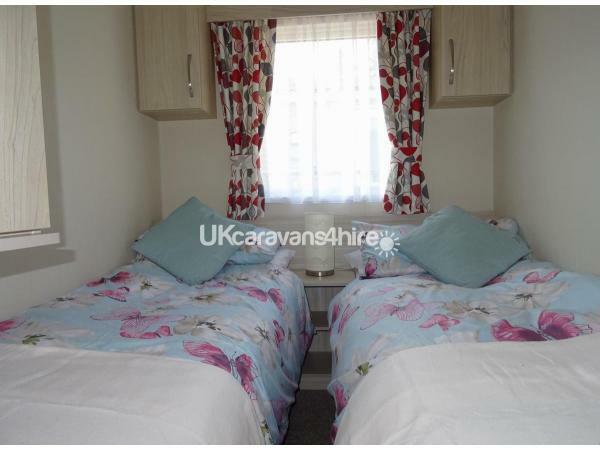 The caravan is close to the Launderette and just a few minutes stroll from the restaurant and bar - both with free WiFi. By the bar terrace is the childrens play area, and on the other side of the Hotel is the free WiFi room. Some of the attractions near to Aberdunant Hall include the Glaslyn Osprey Project at nearby Pont Croesor, which has supported ospreys since 2004 when they came to the Snowdonia National Park to breed after being absent from Wales for decades. The lovely Black Rock Sands has miles of sandy beach, but we can't decide which is best, Back Rock Sands or Harlech beach. What about the world famous narrow guage railways? There's the Ffestiniog Railway, The Welsh Highland Railway and the family friendly Welsh Highland Heritage Railway, all based in Porthmadog. Porthmadog is the nearest town with a good selection of shops; Tesco, Aldi, Lidl, Spar, Wilkinsons, TOFS (The Original Factory Shop) and a good selection of smaller shops. There are branches of Barclays and HSBC in the High Street. Both banks have cash machines, as does Spar. Takeaway food outlets include kebabs, fish & chips, Chinese takeaways, an Indian restaurant/takeaway, plus a number cafes & restaurants. Not far from Betws y Coed are the beautiful Swallow Falls, a multiple waterfall system, located on the Afon Llugwy. There are castles to explore at Harlech, Criccieth and Caernarfon. Blaenau Ffestiniog has several major tourist attractions, including the Llechwedd Slate Caverns, a former slate mine. The adventures at The Slate Caverns include an experience for almost everyone, from Titan, the first four person zip line in Europe to the unique, all weather underground adventures that are Bounce Below and Zip World Caverns. The total length of the outdoor zip lines is over 8,000m! Or take an epic journey through the underground caverns on zip lines, rope bridges and tunnels. And from here you meet your final challenge: the steepest zip wire in the UK. Llechwedd is often listed as one of Wales’ top five visitor attractions. Or perhaps you prefer other holiday activities, like walking, climbing, cycling, golf or just exploring at your own pace, in the part of Wales they call ‘Little Switzerland’!. If you haven't already booked your holiday or just want a short break, based in over 200 acres of mature woodland, why not consider our home from home at Aberdunant Country Park. 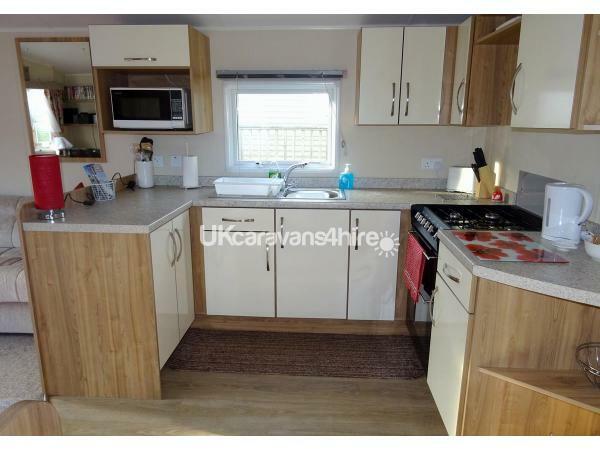 This caravan was clean and modern in a lovely sunny spot. Set around The Green which gave ample space for our son to kick a football around safely and in view. Lots of little touches made this van stand out from others we have stayed in: a Star Wars duvet set on our son’s bed, the Welcome Pack (bread, milk, hot cross buns), the heated towel rail plus the resident robins and fairies in the garden to name but a few! The detailed Information Pack was really useful and gave us many ideas where to visit. 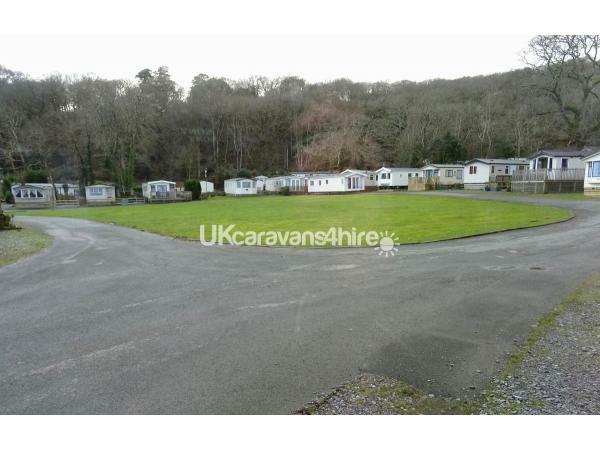 The park itself is large with lots of walks and is a great base to explore a really beautiful part of Wales. The sun shone and we had a fantastic holiday. Thank you! Thank you for your kind words. We're glad you enjoyed your stay and hope to see you again soon. No words can describe the quality of the hospitality, you will never have a welcome like it. Everything is clean and tidy, well maintained, the welcome book and the little extras are a great touch. Just amazing well done. You will be seeing alot of us next year. Sorry about the weather during your stay but autumn in Wales can be unpredictable. Thank you for your kind comments and we look forward to seeing you and the dogs again next year. Literally could not have asked for more, a real home from home with everything provided. 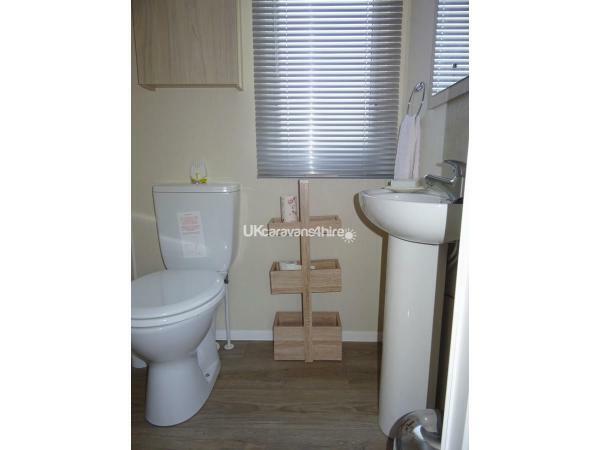 Super comfortable and in a wonderful location. The owners’ communication and helpfulness is faultless. Thyan you. Hope to see you again next year. 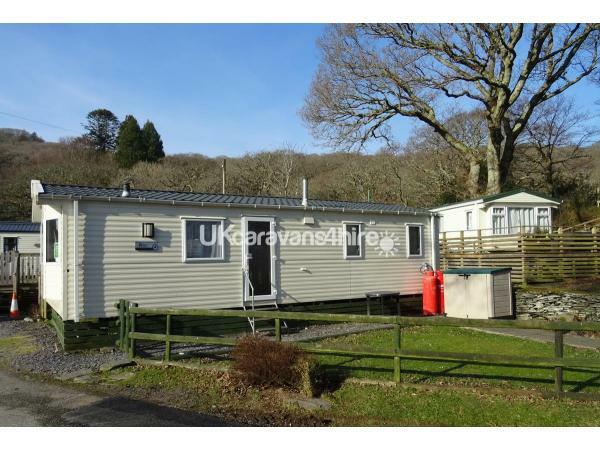 We would definitely recommend this caravan holiday , Spotlessly clean warm and welcoming . Lovely fenced in garden for our dog molly to go on. 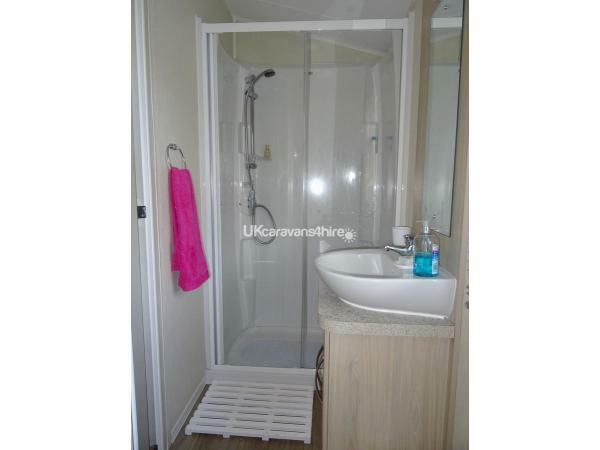 Situated in a delightful quite spot but close to many amenities. A welcome pack awaited us and Moses rang on the morning we were due to travel to warn us of the coming storm . Thank you. We hope the stormy weather didn't detract from your holiday. Thank you. Hope to see you again. 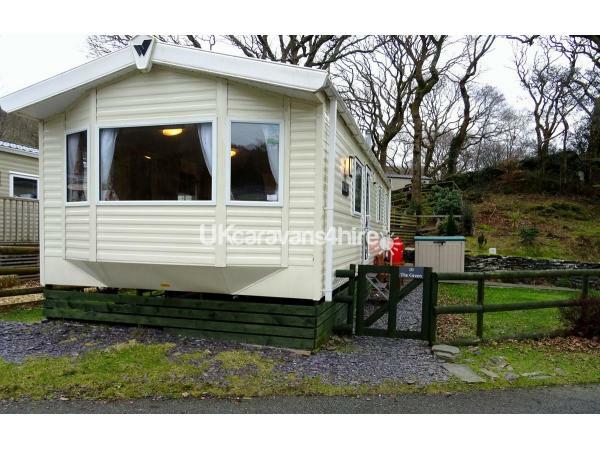 We have just spent three nights in this caravan at Aberdunant caravan park and it was wonderful. 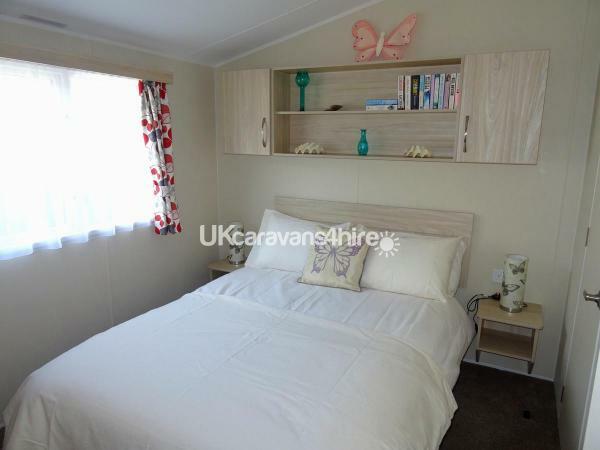 The owners are extremely friendly and helpful, bed was made up and towels supplied, there was even a welcome pack, so that we could have a brew and a piece of toast as soon as we arrived. 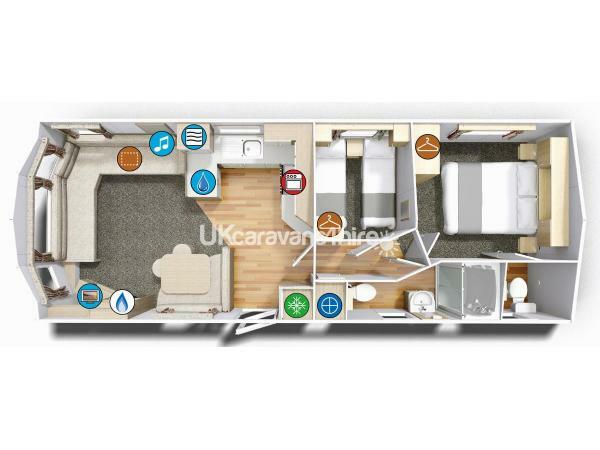 This was very much appreciated and went above and beyond expectations, much better than any others caravan we have holidayed in. The park is lovely and clean and the food and service at the Bistro was excellent. We will definitely be returning. Thank you Moses and Jackie. Thank you for your review, we're glad you enjoyed your beak. Look forward to having you back again. May thanks for your kind words. 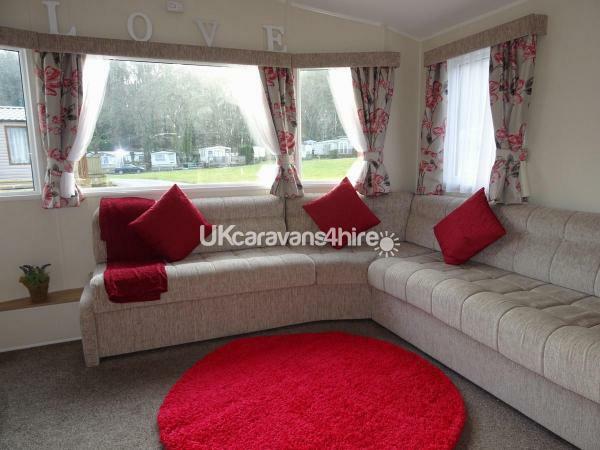 We try to make the stay in our caravan at Aberdunant Hall Country Park as good as we can for all our guests. We look forward to seeing you again.